While an extra long hiatus had fans waiting impatiently, they can finally begin to celebrate because the trailer for Stranger Things 3 is here! 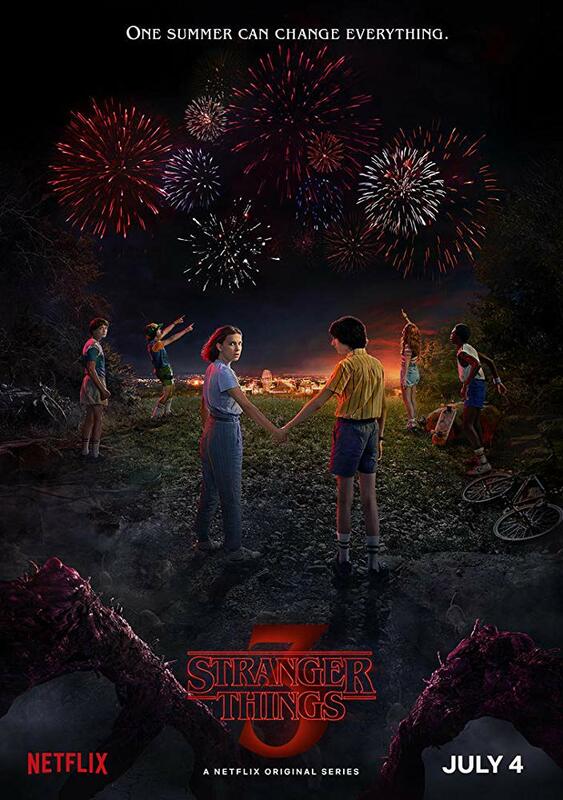 Mike (Finn Wolfhard), Eleven (Millie Bobby Brown), Dustin (Gaten Matarazzo), Lucas (Caleb McLaughlin), Will (Noah Schnapp), and Max (Sadie Sink) are all back for this third installment, looking every bit the teenagers they are. The trailer shows the young cast attempting to enjoy their summer with camps, fairs, and trips to the mall, but unfortunately it seems their interdimensional alien problems are not yet over. The important things to remember here is that while Hawkins is once again under attack, Steve Harrington (Joe Keery) and Dustin are still friendship goals, Joyce (Winona Ryder) still looks to be just flirting with that edge of hysterical, and Hopper (David Harbour) is still an “unlikely” hero that will surely once again win my heart. Tune in for Steve in a…sailor’s outfit? Hopper in a printed shirt? Cary Elwes as the town’s mayor? Honestly, the new season already looks like an all-around win. Now we all hold our collective breath until the new season drops on Netflix on July 4.